To start off our festive countdown celebration we are featuring one of our favourite products: the Eero Aarino Puppy Chair. 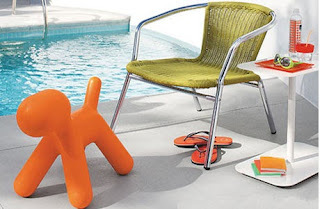 This Chair is the perfect cross between a chair a and toy. This all purpose chair made from extremely durable and strong polyethylene making it weather proof! so it doesn't matter if you leave it in the garden. Its abstract design makes a very colourful sculptural piece for your home, garden or even office. For more information and to claim your 12% discount click on one of the above images and enter xmas12 while checking out.